One of the biggest projects underway across the Ministry of Defence at present is the construction of the two new Queen Elizabeth Class (QEC) aircraft carriers for the Royal Navy. DIO’s role is to construct the infrastructure required to support the carriers at their base port of Portsmouth. Today the Prime Minister announced that over £50million of the £100million investment has been awarded to construct the jetty and other port infrastructure, provide high-voltage power and navigational aids. I’m Philip Wise and I'm the Principal Project Manager leading this work for DIO and have now been part of the team in Portsmouth since 2008. As with all major projects my small team is one part of a larger team working together to ensure HMS Queen Elizabeth’s arrival in Portsmouth is notable for all the right reasons. An important factor in achieving this collaboration has been our co-location with the Navy Command team in Naval Base Headquarters giving direct access to our customer as well as many of our stakeholders. You may well have seen coverage in the press - these will be the largest vessels to enter Portsmouth Harbour at 284 metres long and with a 70 metre wide flight deck. Bringing the carriers safely into Portsmouth requires dredging a realigned and deepened channel, a new set of navigation lights, a bespoke berthing system, a major jetty upgrade and a new high voltage electrical supply. The scale of the QEC vessels means that each of these elements is significant in its own right. The dredge contract will remove over 3 million cubic metres of seabed; the navigation lights will be mounted on a dozen independent offshore structures and the ship’s power systems demand the sort of electricity supply normally required by a small town. The existing jetty structure has been built up in stages over the last 100 years adjacent to a 200 year old sea wall, all of which makes analysis and construction particularly complicated. 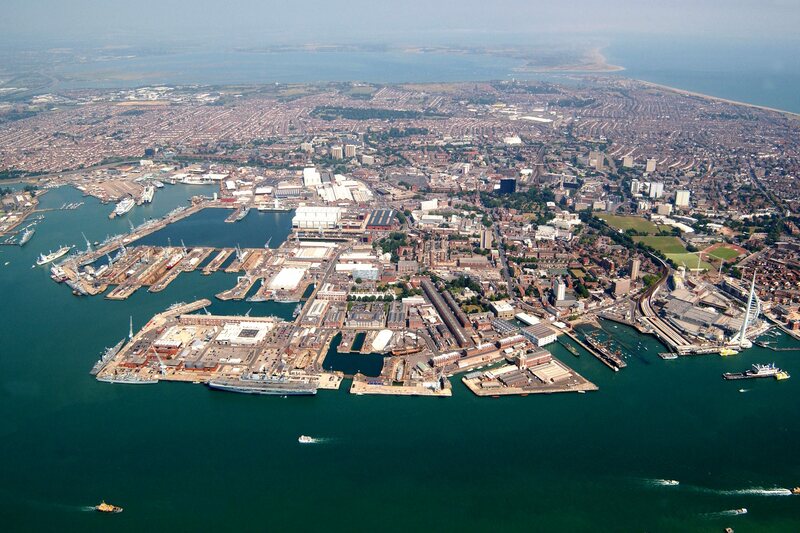 Portsmouth Harbour is also very important environmentally and all of our proposals have been developed in close cooperation with the relevant regulatory organisations. The work is broken down into two main contracts. The dredging contract is expected to be awarded in the summer but the package of works we’ve awarded today will cost £51 million. By the time the contracts for dredging and Naval Base support works are let the overall project cost will reach £100 million. 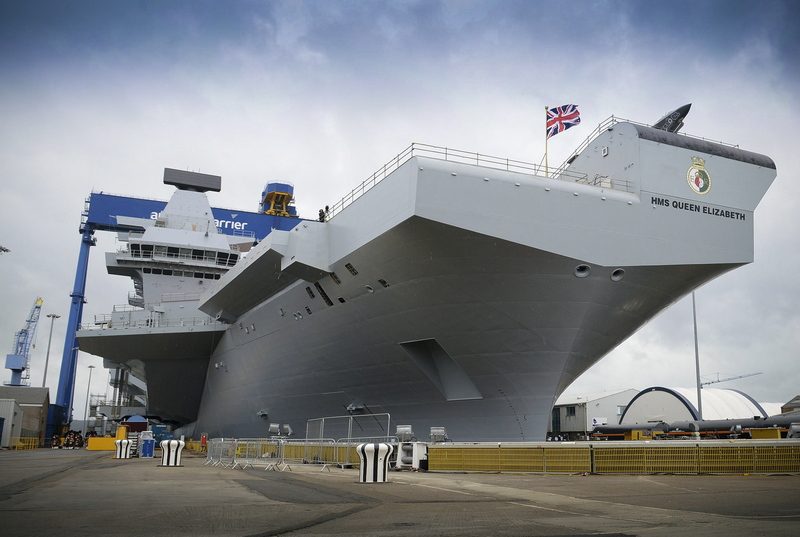 The preparation, planning and design required for these projects has been underway for many years and in the early days the arrival date for HMS Queen Elizabeth always felt a long way off. 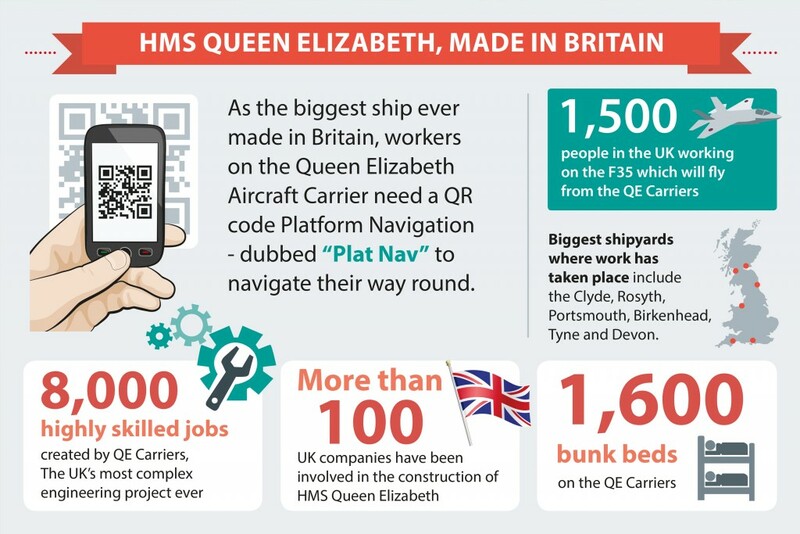 However, HMS Queen Elizabeth was launched in July last year sending a very clear sign that she’ll be coming to Portsmouth soon, with HMS Prince of Wales not far behind. This is a really exciting time for the project as it moves into construction and marks the end of an intense period to move from tender stage to contract award. Our commercial and technical support colleagues have played an indispensable role in this success and I’m proud so say that despite all the challenges we’ve come up against we’ve always pulled together to deliver this phase early against what at times felt like a challenging schedule.